Welcome, this week we are delighted to offer you an editorial from the new Assistant Minister for Education Sussan Ley. 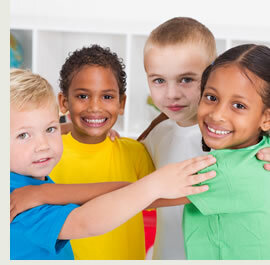 Also meet Elisabeth Curcic–Daher a family day care educator from NSW and read the results of a new survey from the UK, which reveal (what most of you already know) that social skills are more important than academic achievement in determining success in school. You don't need to look at the statistics to know the Australian child care and early learning sector has grown significantly over the last decade, as have family needs and requirements for their children's care and development. All families deserve quality child care and early learning at a price they can afford, and more flexible services available when they need them. We need a child care and early learning system for the 21st century. As the Coalition's spokesperson for child care and early learning during the last three years and now Assistant Minister for Education, I have been fortunate to visit over 200 services noting firsthand the positive impact quality child care and early learning has on the lives of our children. Among the new Government's first priorities was to announce a Productivity Commission Inquiry into how child care can be made more flexible, affordable and accessible, so that we can make the best decisions about the future of the sector. This Inquiry was formally commenced in mid-November following the first week of the 44th Parliament. The Inquiry will be broad ranging and focus on the current and future needs of parents and children accessing child care and early learning services. This will include the different types of care available, the needs of rural, regional and remote families, shift workers, the needs of vulnerable children and how future government assistance should be provided. Early childhood education and care providers in England believe strong social skills and independence are the most important factors for children to be ready for school rather than educational attainment. More than 2000 parents, child care professionals and teachers were involved in the research which was conducted by PACEY, England's professional association for people working in the early childhood sector. Most parents, teachers and early childhood education and care providers agree that a definition of school ready should include strong social skills and the capacity to be away from parent/educator for a number of hours. The majority of child care professionals and teachers also cited curiosity and the desire to learn as essential qualities, while parents placed more emphasis on their children's ability to be independent with personal care, such as the ability to use the toilet without assistance. Chief Executive of PACEY Lisa Bayram said it is clear early childhood education and care providers as well as parents believe supporting the social and emotional development of children is critical for their future success. "Our research shows there is growing concern about the 'schoolification' of the early years. Teachers and child care professionals are concerned that the importance of play and how it supports children to be confident, communicative, sociable and curious individuals is being lost. …A truly play-based approach not only supports children to achieve in their early years but throughout their school life and beyond," said Ms Bayram. For more information and to read PACEY's report in full click the button below. My name is Elisabeth Curcic–Daher and I am 55 years old. 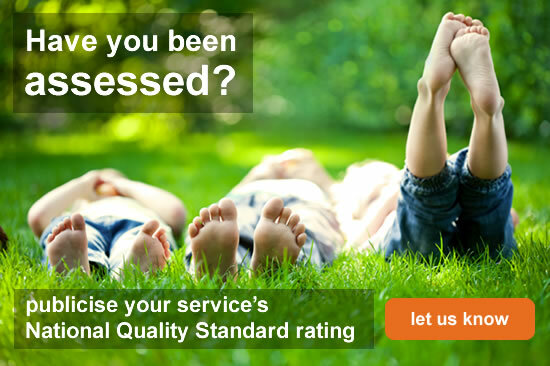 Which early childhood education and care service do you work in? I work at Melrose Family Day Care (NSW) registered with CCA Scheme and currently have five children per day which will drop to four children per day next year. I have a science (Chemical) background and was employed for 29 years in Design Engineering Group Sonar and Underwater as a Chemist. Melrose Family Day Care has been open for four years. I am a registered educator with CCA Scheme. I hold a Child Care Diploma and Diploma in Psychology. I was also recently awarded the 2013 Excellence in FDC Regional Educator Award Winner – North West and Hills District. 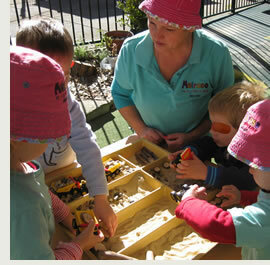 What attracted you to a career in child care? Working with children the flexible hours and ability to work from home.